Beth A. Johnson, 84, of Galva, passed away at 5:09 p.m. Monday, Jan. 30, 2017, at Marigold Rehabilitation and Health Care Center in Galesburg.Funeral services will be held at 11 a.m. Saturday, Feb. 4, at Rux Funeral Home in Galva. 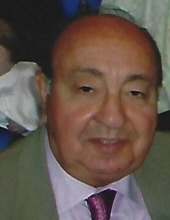 Thomas A. O’Sadnick, 88, of La Salle died peacefully and surrounded by his family in his home on Jan. 30, 2017. STEWARDSON — Esther Martha Bugenhagen, 95, formerly of Shumway, passed away Saturday, January 28, 2017 at Lakeland Rehabilitation and Health Care Center in Effingham. DECATUR — Marjorie R. Beal, 96 of Decatur, IL passed away 9:25 P.M. January 26, 2017 at Primrose Retirement Community, Decatur, IL. NORRIS CITY — Ronald D. Trigg, 63, formerly of Johnson County, passed away unexpectedly at 9:45 a.m. Monday, Jan. 30, 2017, at his home. Ann Kelly, 85, of Morrison, died Saturday, Jan. 28, 2017, at University Hospitals, Iowa City. Mary Etta Allen, 89, of Watseka, passed away Sunday (Jan. 29, 2017) at Riverside Medical Center in Kankakee. 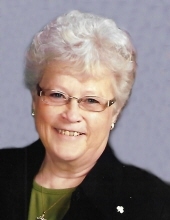 Jonne Louise Welton, 79 of Taylorville passed away on Monday, January 30, 2017 at 6:25 p.m. at Memorial Medical Center in Taylorville. She was born on October 29, 1937 in Ashland, OH the Daughter of Ralph and Gladys (Ricker) Worst. Betty Finney, 100, passed away Sunday, Jan. 29, 2017, at Kansas City Hospice House, Kansas City, Mo. Marion Orendorff Tarr, 90, of Canton passed away Jan. 29, 2017, at 11:59 a.m. at Graham Hospital in Canton. Edmund ‘Bud’ Matthew Hayden Jr.